Just when you think it can’t get any worse, the Wizards lay another egg, this time to the Atlanta Hawks at home losing 103-97 on Friday night. Bradley Beal scored a game-high 32 points tonight but it didn’t matter on a night when the Wizards no-showed yet again to a sub .500 team. After trailing for nearly the entire game, Washington was able to regain the lead by six, 93-87 on the heels of a personal 7-0 run from Bradley Beal. However, that quickly evaporated as the Hawks used a 12-0 run late in the fourth quarter to regain the lead and drop Washington to their latest embarrassing loss of the season. The Wizards couldn’t have cared less about tonight’s game – and you saw that right from the beginning. Washington played with no energy and even less urgency against a team compiled of rookies, G-League call-ups, and guys who you’ve probably never heard of before. Washington found themselves down 11, 50-39 in the second quarter and you wondered if the rest of the Wizards team might pack it in for the evening like Markieff Morris did early in the game (he was ejected in the first quarter). Save for a run where they took the lead midway through the fourth quarter, Washington looked like a team ready for the season to be over so they could hit the beach; not a team looking to hit its stride right before the playoffs. Just when you think it can’t get any worse, the Wizards find a way to disappoint that much more. We’ve seen this movie before though. Kelly Oubre’s struggles from three-point range have been well documented over the past six games. The third-year player connected on just 2-35 attempts from distance coming into tonight’s game. After missing his first three-pointer of the night, Oubre connected on his next three and ended the night 3-7 from three-point range. It’s not like Oubre was lights out tonight, however, it was very relieving to see him knock down more three-pointers tonight than in the last six games combined. As mentioned, Oubre isn’t completely out of his funk evidenced as he missed all six two-point attempts. Next Up: Washington hosts the Boston Celtics in the final home game of the season. Bradley Beal leads the way for Washington with 27 points while John Wall’s performance wasn’t too shabby as he added 20 points and 14 assists as the Wizards beat the Hawks 103-99 to take a 3-2 series lead. Otto Porter, who’s been quiet for much of the series scored 17 points and the Wizards got some nice production off the bench from Bojan Bogdanovic who added 14 points. Bradley Beal was a one man show to start this one as the shooting guard connected on his first four field goals and scored nine of Washington’s first 13 points. However, Dennis Schroder who’s been playing great in this series, also started off hot connecting on his first three three-point attempts in the quarter as the Hawks took an early 21-15 lead. Bradley Beal and Markieff Morris combined for 17 of the Wizards’ 23 first quarter points but they trailed 25-23. After falling into a bit of a hole, the Wizards got out in transition and used an 11-2 lead behind baskets from Wall and Porter who was able to get to the line during that stretch. The Wizards were able to get Paul Millsap in foul trouble as the big man picked up his third foul at the 1:44 mark but the Wizards couldn’t take advantage as they held a slim, 50-49 lead at halftime. Otto Porter was shot out of a cannon to start the third quarter as he connected on two three-pointers and his first three field goal attempts in the third quarter. Washington opened the quarter on a 19-9 run to take an 11 point lead but the Hawks countered with an 11-0 run of their own to tie the game. The highlight of the night happened when Wall blew by Bazemore and got some help from Gortat to clear out the lane for the left-hand slam. Washington led 83-79 entering the fourth quarter. Jennings had a great stretch in the fourth quarter where he stripped Jose Calderon and finished with a layup on the other end. Jennings then used some nifty And-1 moves to find a cutting Bogdanovic as the Wizards stretched the lead to seven, 90-83 early in the fourth quarter. However, the Hawks always had an answer. Hot shooting from Tim Hardaway Jr. and Dennis Schroder allowed the Hawks to stay within striking distance. A questionable sequence happened late in the fourth quarter when Markieff Morris dove on the floor for a loose ball and got whistled for his fifth foul. Morris then picked up a technical at the worst time possible with just 3:26 remaining. Again, the Hawks wouldn’t go away as the Wizards made a few mental mistakes on the defensive end and cut this lead to two, 101-99. John Wall would hit a nice elbow jumper to stretch the lead to four, 103-99 and the Wizards would just need one more stop. The Wizards were able to get the stop and were able to run out the clock when Gortat gathered an offensive rebound but he inexplicably shot the ball and missed it. It didn’t burn the Wizards as the Hawks missed a desperation three-pointer at the buzzer. 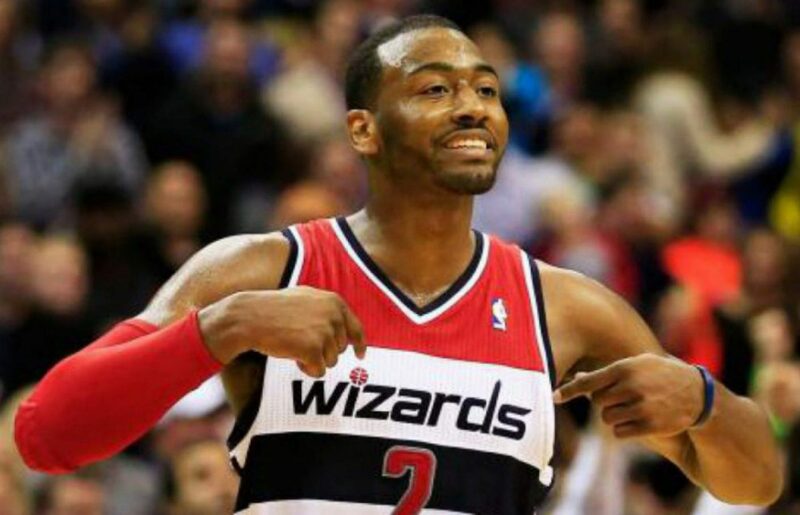 Wizards win 103-99, take a 3-2 series lead.